Discovery Center - Earth Ltd.
Our home base, the EARTH Ltd. Discovery Center, is located in Southwick’s Zoo in Mendon, MA. This is where we house and care for our education animals and perform live presentations for zoo visitors. Visitors are also welcome to come inside the building to get a closer look at our animals and to speak with our staff and interns. Memberships with EARTH Limited can also be purchased at the Discovery Center. If you have any questions about memberships, ZooMobiles, education programs, or anything else EARTH Ltd. related, you can call the Discovery Center at 1-800-258-9182 ext 208. 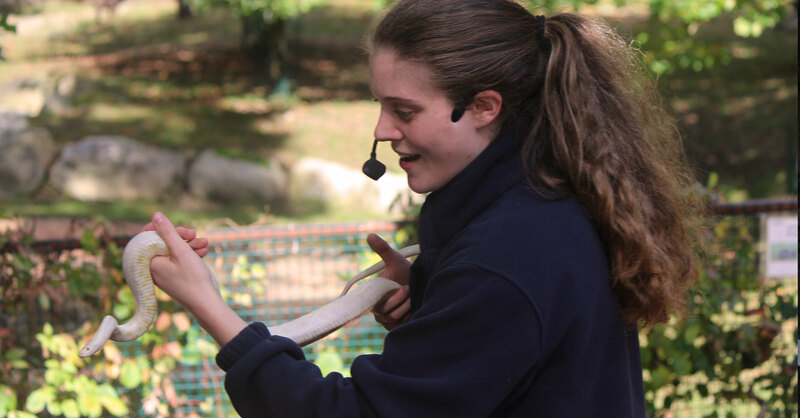 During the summer, educational programs featuring our animal ambassadors can be viewed at the EARTH Discovery Center and Bird Show Arena in Southwick’s Zoo. Please note that Southwick’s Zoo is currently closed for the winter and will re-open for the 2019 season in early April. Shows and presentations will resume in May. Please check back for more information and times..
2019 show times coming soon.